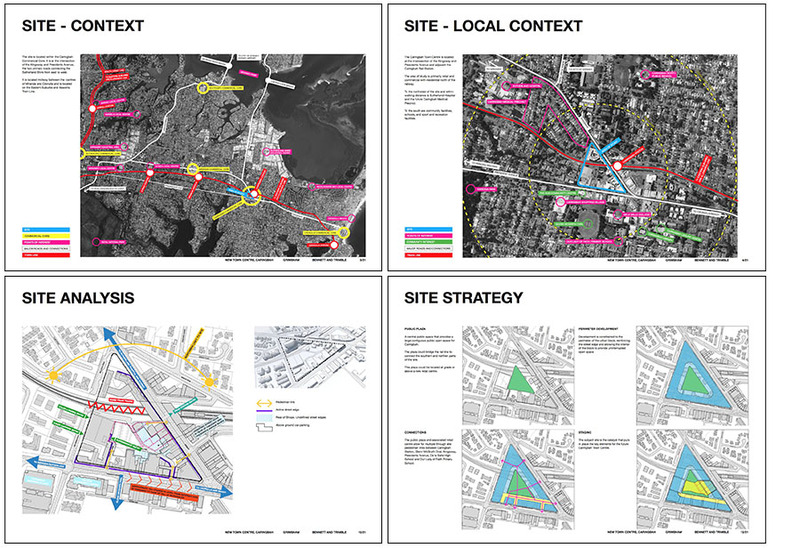 A masterplan and staging framework for a mixed use development in the Sutherland Shire in Sydney’s southern suburbs. The site, located to the south of the train line, was considered as part of a larger precinct including Caringbah Station and a recently completed development north of the train line. The sites are under multiple ownerships including Sutherland Shire Council and TfNSW and the staging of a possible development of both public and private lands is a complex and sensitive consideration. The study anticipates the future development of the block as a high intensity mixed use precinct including, a supermarket, retail centre, commercial office space, residential and a public park. Opportunities to directly engage with the station, and bridging the train line with a public park were investigated to improve connectivity to the site and beyond to the medical precinct to the north, nearby playing fields, schools and community facilities.